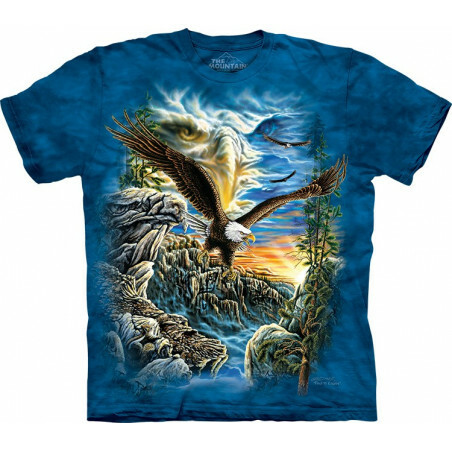 Hidden Image T-Shirts & Clothing The Mountain There are 30 products. 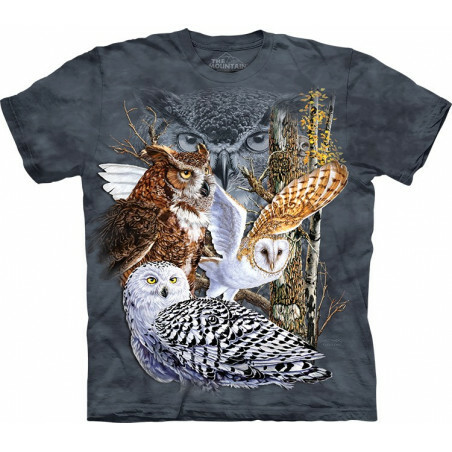 For all owl lovers, the Find 11 Owls T-Shirt from The Mountain is a wonderful purchase. The pseudo 3D design is a masterpiece of artist Steven Michael Gardner. High-quality 100% cotton. The owl t-shirt is amazingly realistic. Want to look eye-catching? Wear the ‘Find 11 Owls T-Shirt'! Get it now at the clothingmonster.com! New artwork from Michael Gardner! 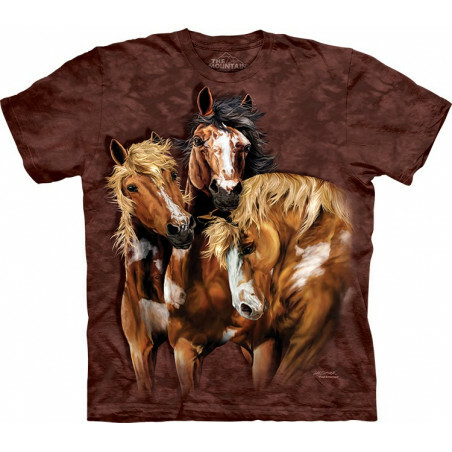 The Mountain presents you Find 15 Horses T-Shirt. 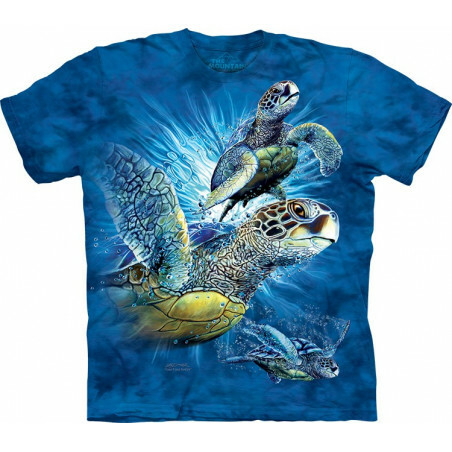 The pseudo 3D t-shirt is made from preshrunk 100% cotton and hand-dyed with eco-friendly organic inks in the USA. The amazing shirt is also a riddle. 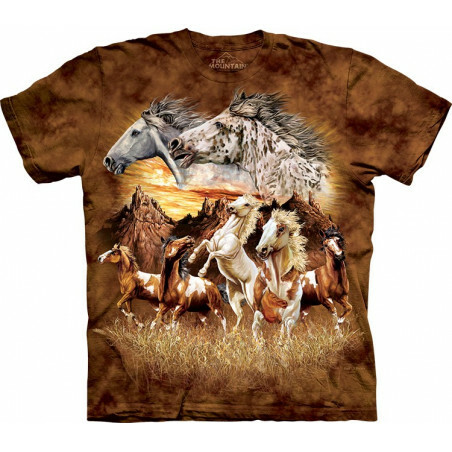 The mustang shirt is a perfect gift for relatives, friends or yourself. No fading. Shop now at the clothingmonster.com! This amazing shirt is a riddle. The Mountain presents you Find 10 Wolves T-Shirt. The pseudo 3D t-shirt is designed for you by the artist Michael Gardner. 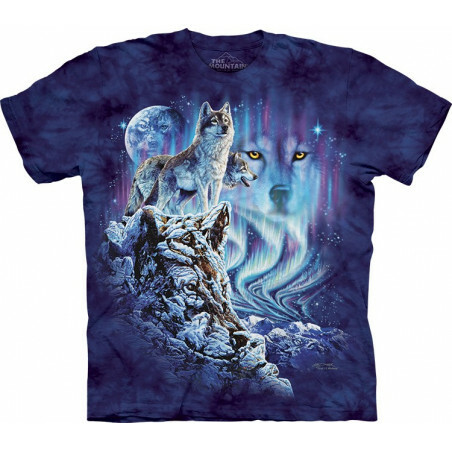 The wolf shirt is made from preshrunk 100% cotton and hand-dyed with eco-friendly nontoxic inks in the USA. The incredible tee is a perfect gift for all wolf lovers! Shop at the clothingmonster.com! Looking for something unusual and cool? 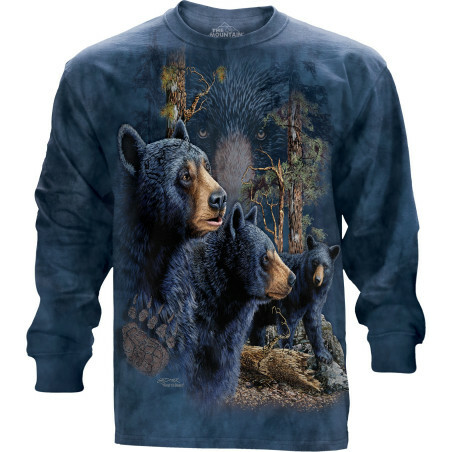 If yes, then this amazing collection ‘Hidden Image’ from The Mountain is designed for you! 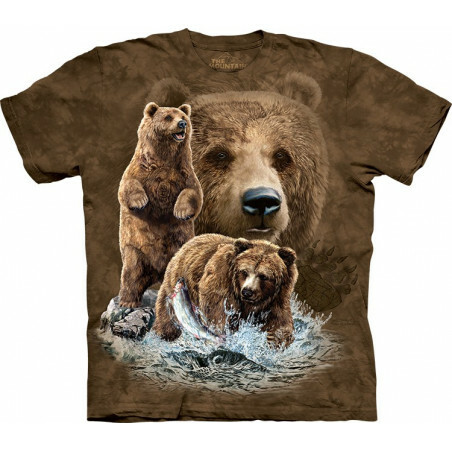 The collection includes T-Shirts, Ladies T-Shirts, LS Tees and Hoodie with cool 3D images of bears, eagles, horses and wolves. Designed by famous artist Steven Michael Gardner, the collection is original and impressive. 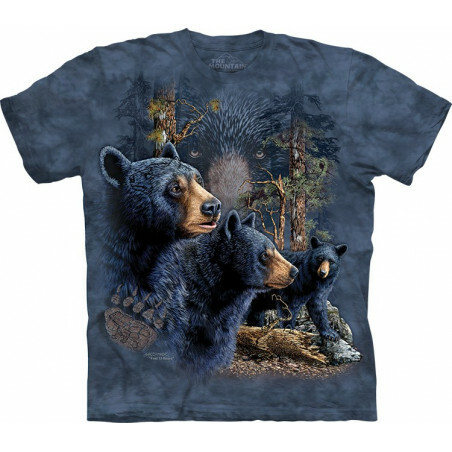 Here you can get bears t-shirt, or wolves clothing, horse t-shirt and eagle apparels. The lifelike t-shirts are made from preshrunk 100% cotton, hand-dyed with organic and eco-friendly inks in the USA. 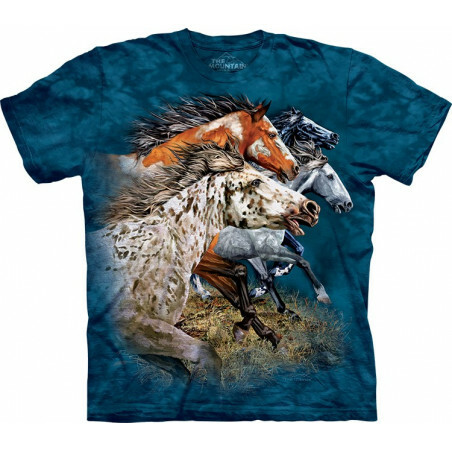 The majestic apparels combine both cool style and high quality. 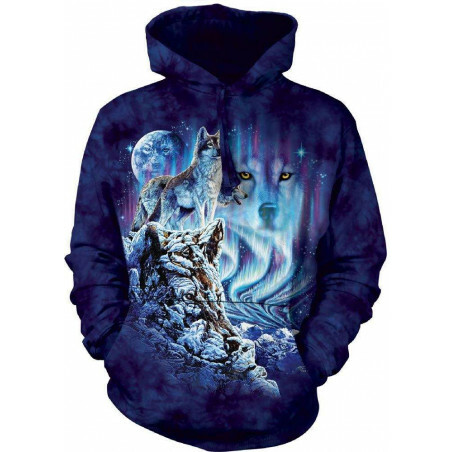 Every awesome apparel has hidden images, which are not always easy to find, but which draw attention of people around. Imagine how cool you will look in one of the apparel. Perfect as a gift. At the clothingmonster.com you'll find men’s, women’s and kids clothes. Get hidden image clothing now! Shop at the clothingmonster.com!